Dubai has never been a surprise when it comes to showcasing wonders. From towering skyscrapers to 3D printed buildings, Dubai is known for its bizarre sense of sheltering the buzziest things, and still make sense. At present – one of the early adopters of artificial intelligence services – Dubai is set to become the biggest hub for all forms of technology. Its highly enthusiastic approach towards adopting full-fledged automation can clearly be seen from the self-driving cars to the citizenship it recently awarded to world’s first humanoid robot ‘Sophia’. And now, the next big thing the city is aiming for is Machine Learning. Although not a new thing anymore, Machine Learning is empowering the biggest industries with the most complex operations. It is either already being used or en route adoption for most of the industries for two reasons: it cuts costs and it is highly efficient. 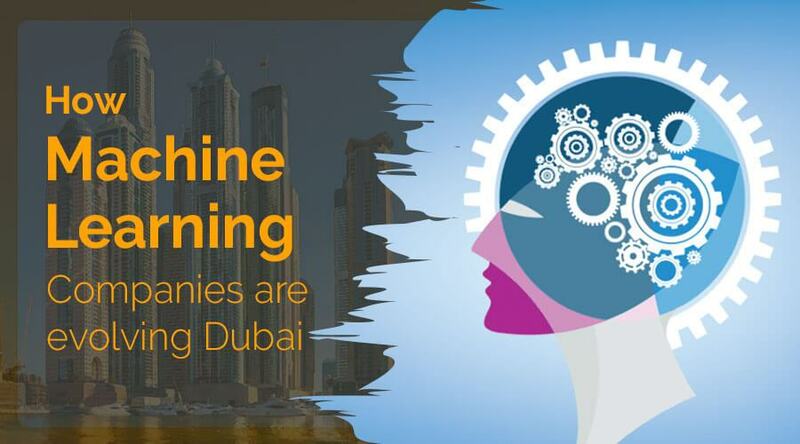 So what exactly does Machine Learning mean and how is it evolving Dubai and the world? Let’s find out. Machine Learning is the branch of Artificial Intelligence that allows computer systems to analyse the data generated by machines in order to learn, adapt and improve their functions. This in turn improves productivity, minimizes errors and eliminates the need for someone to monitor the system, giving a boost to the overall efficiency. In Machine Learning, the science of Deep Learning is used to enable machines to learn from the ever-emerging data. Deep Learning could be termed as a subset of Machine Learning which is power by artificial neural networks at the core. Although identified as a subset, Deep Learning could be termed as a complementary pair for Machine Learning because it is what powers Machine Learning in doing what it does. In Supervised Learning Algorithms, labelled training data is used which consists of a set of training samples. These samples have defined input object and output, and on the basis of training samples a function can be inferred and affirmed by the machine. During Supervised Learning, the training data obtained from machines can be collected, learned and be used to create more training samples. Supervised Machine Learning is expected, under ideal circumstances, to identify and define functions on its own, using the data derived from previous runs. Unsupervised Learning is when unlabelled training data is used in the machine learning procedures. In this class of Machine Learning, the computer system has to infer a function from the unorganized form of data called ‘unlabelled data’. This branch of Machine Learning is used mostly when the data being generated is highly unstructured. Though the accuracy of algorithms is compromised in this type of learning as scalability has always been an issue in such cases. At present, Unsupervised Learning is being used to solve complex real-world situations, among which some of the most popular ones are R&D, Aerospace exploration, Medicine, Unmanned Aerial Vehicles (UAVs), Big Data Analytics, Neural Networks, Nano-technology and much more. Reinforcement Learning Algorithms are quite different when it comes to learning method. This type of Learning is driven by a reward feedback system in order to automate the next course of action in a system to boost the performance significantly. The reward feedback which is also known as reinforcement signal, allows the system to learn and adapt ideally in any given circumstance. Reinforcement Learning is highly regarded in the world of Machine Learning as in these types of algorithms, systems learn from their surroundings, in order to keep up with the reward feedback. For good or bad, the co-founder of Sun Microsystems once predicted that we would not need more than 80% of the present number of doctors in the next two decades, following the growth in Machine Learning. Robot-assisted surgery has shown incredibly better results as compared to existing methods in terms of lesser blood loss, smaller incisions, precise techniques, and faster recovery of the subject. For those who wonder how Google knows about our flight booking, reading interests, shopping choices and pretty much everything we do on the interest; it is Machine Learning. 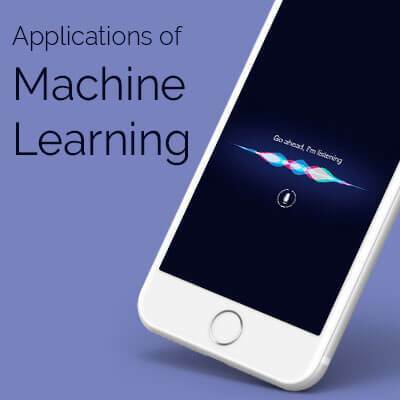 Three of the biggest examples of Machine Learning right before us are Siri, Google Assistant and Cortana. These virtual assistants developed by mobile app development companies that use Deep Learning algorithms, derive permitted data that we share all the time through our phones, desktops, and tablets, and study the patterns in our activities to come up with suggestions based on the output. The same concept of Machine Learning is used in the Home Automation Technology as well, which extracts data from our interaction with home appliances and other electrical interfaces in our house. Home Automation systems assimilate and use this data to execute functions like automatic triggering of appliances. The most recent application of Machine Learning in the field of security can be seen in Dubai law enforcement, which has deployed a patrol robot that constantly scans its surrounding for unusual activities or hazards and alerts its human attendants as soon as it sees a deviation from the standard protocol is has been fed to follow. As per the officials, Dubai is planning to replace one-fourth of its cops with robots. The robot takes millions of pictures in a fraction of second and analyses each frame for changes. Another application of Machine Learning in security is to scan the database with hundreds of thousands of pictures and use facial recognition to match visual data coming in from CCTVs and security cameras all around the city. The much anticipated deal between UAE and Tesla for self-driving cars finally happened in the beginning of 2017 and UAE bought 200 Model S and Model X to fortify their public transportation services all over the city. And just like in law enforcement, Dubai is also planning to replace one-fourth of its taxi fleet by self-driving cars. But then, Dubai is the not the only place where self-driving cars are being widely adopted. The American tech-giant Google has an exclusive wing that goes by the name ‘Waymo’, which focuses on developing and improving the autonomous car systems. Although founded in 2009, Google road-tested its self-driving car on November 7, 2017, for the first time without a technical supervisor. The way Machine Learning has slowly integrated into our lives is unbelievable, but true. From smartphones to medicine, Machine Learning has occupied covered quite much in the technology space. And because it is focused on making our lives convenient with each step it takes forward, mankind has accepted it with open arms. However, there are some who are still pretty sceptical about Machine Learning Automation for, say, partially right reasons, including the loss of employment and over dependence.